You have soon a presentation, you are invited to a talk or you organize an event? 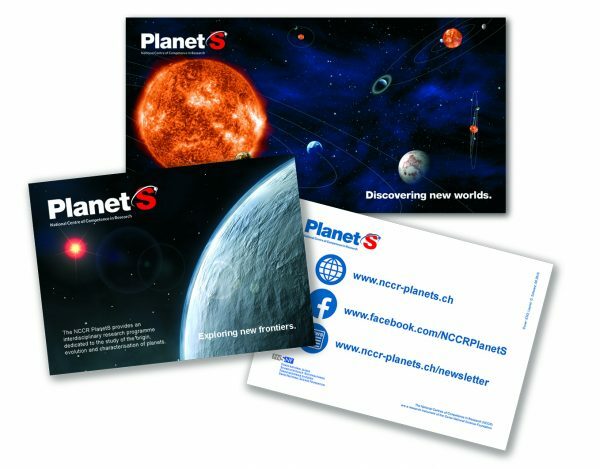 Then the communication and outreach team can offer to support you with outreach material to reinforce your message and to make the NCCR PlanetS further known. On the one hand, two postcards are available. One of them is advertising the online channels of the NCCR PlanetS and for this purpose lists on the back the links to the PlanetS website, the newsletter registration and the PlanetS Facebook page. The other card is blank on the back and can be used as a giveaway or as a short letter. 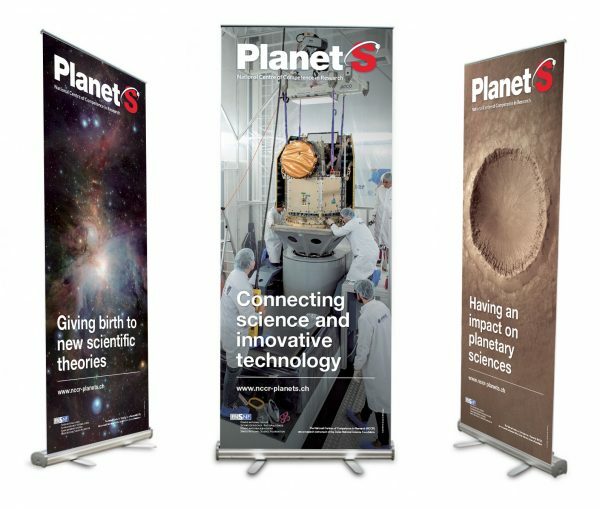 On the other hand, roll-up displays with seven different subjects and slogans are available. The roll-ups can easily be carried with a bag, are set up in minutes, and give the NCCR PlanetS a greater visibility. Besides the new material, CHEOPS pins are still available. The material can be ordered on the internal pages: http://nccr-planets.ch/outreach/. Just fill in the form. Please note that roll-ups must be reserved in good time; they will be mailed to you (except Bern) which takes time. If you have further questions, please contact Guido Schwarz from the communication and outreach team.